Do you know when it's time to change your Fraud Management System? If you’re a fraud management leader looking for a way to really make an impact in your overhead, scalability, and growth potential, this is a great time to research the latest fraud management technology and consider making the leap. 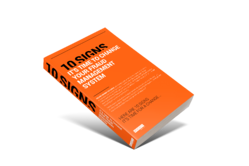 Download this ebook today and find out about the ten signs that now is the time to change your fraud management system.